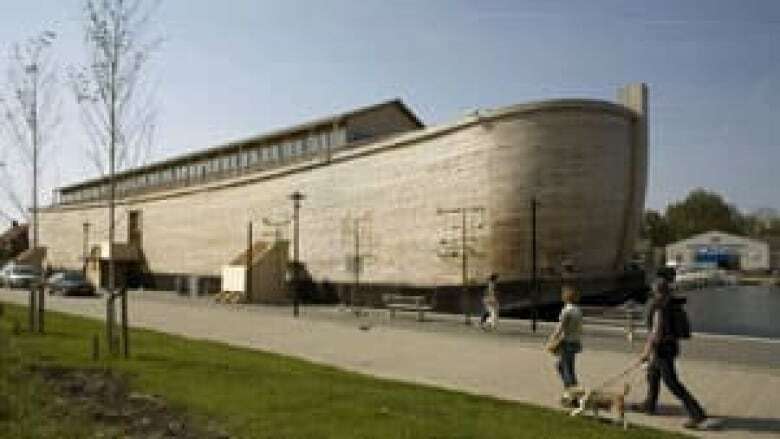 A full-scale replica of Noah's Ark has opened to the public in the Netherlands, fulfilling one man's 20-year dream to educate people about history and faith. A full-scale replica of Noah's Ark has opened to the public in the Netherlands. Stormy weather Monday could do nothing to dampen the good mood of its creator, Dutchman Johan Huibers. In fact, the rain was appropriate. In the Biblical story, God orders Noah to build a boat big enough to save animals and Noah's family while Earth is covered in an enormous flood. Translating to modern measurements, Huibers came up with a vessel that works out to a whopping 130 metres long, 29 metres across and 23 metres high. The ark has life-sized animal displays aboard, according to the attraction's website, and some live animals, including parakeets, parrots, pheasants, peacocks and rabbits. But the tigers giraffe, bison and elephant are just sculptures. The ship holds information on the Biblical story, houses two cinemas for special events, and boasts a restaurant so patrons can enjoy the view of the Merwede River. There is an outdoor space near the stern with a dizzying series of stairwells. Walking around, Huibers points out features such as the curvature of the upper deck, which he said would have been used to collect rainwater for drinking, as well as for letting animals such as horses out to exercise where they could run around. 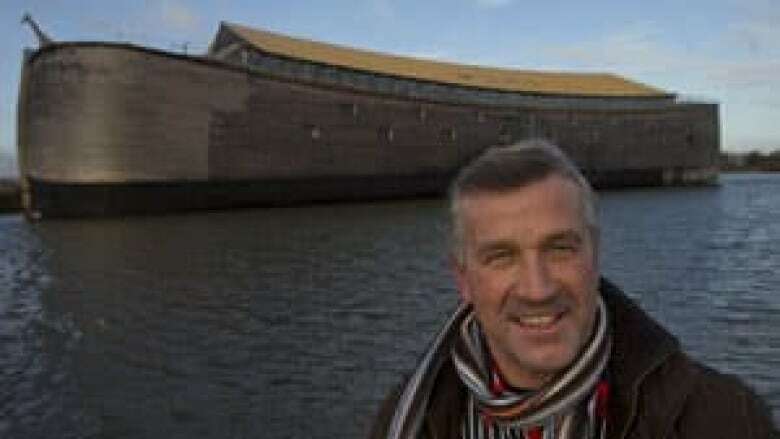 This is Huibers's second time building an ark replica. In 2005, Huibers — along with a small group of volunteers — started building a smaller Noah's Ark. After four years of construction, they had a boat nine metres wide, 13 metres tall and 70 metres long. Over the next 3½ years, the boat sailed along the Netherland's coast and temporarily docked at 21 mooring points, welcoming about 600,000 visitors onboard, and it still is going on such journeys under another organization. Huibers and his team started working on the full-size ark replica in 2009, which was Huibers's original dream. Huibers said he realized a 20-year dream to educate people about history and faith. It all began with a nightmare he had in 1992, when the low-lying Netherlands was flooded, as it has been many times throughout history. "I had a call from American television," he says, laughing. "This has nothing to do with the end of the Mayan calendar." The ark has received permission to have up to 3,000 visitors a day. Huibers said he's considering where to take the floating attraction next, including European ports or even across the Atlantic — though the latter would require transport aboard an even bigger ship. But Huibers is also working on a new dream, perhaps even more unlikely than the first one: he wants to get Israelis and Arabs to co-operate and build a water pipeline from the Mediterranean Sea to the Dead Sea. "If you have faith, anything is possible," he said.